From December 1-December 5 if you head over, subscribe as a follower and leave a comment I will email you an additional freebie of any item from my TpT store that is Regularly Priced at $4 or less. Please go by the regular item price rather than any sale prices and note which product you would like me to email you and the email address you would like me to send it to! 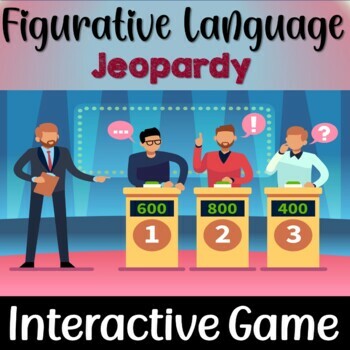 My blog is intended to be a journey of my life as a teacher but also to provide teachers with basic tools and techniques for using their smartboards and developing boards to use in the classroom. I hit a lot of stumbling blocks while I taught myself and my tutorials are aimed to save teachers time and hassle so they can best utilize this amazing technology! I hope you enjoy this little freebie! 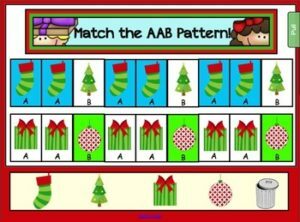 Your kids will get to practice matching AAB Patterns and Extending AAB Patterns using super cute Christmas Clip Art. Please check out my TpT store for more Smartboard freebies and lots of holiday products!